Everyone loves hi-tech, but no one likes hi-tech prices. Do not despair, you can have the Star Trek home without having to buy the Starship Enterprise. Here we will look at five gadgets that you can buy cheaply to live a Starfleet life without having to buy the warp core to do it. Who doesn’t want the lights to come on when they walk into the room? Or to go off when you leave the room? This motion sensor from First Alert fits into any traditional light socket and works with any bulb. That means that you have lights that will save you electricity, time and bring your lights into the 21st Century for a low price! Singing in the rain…err shower! Just singing in the Shower! Unfortunately, most of us cannot carry a tune in a bucket, but it doesn’t stop millions of people from singing in the shower. Now you can listen to your favorite songs, podcasts, catch up on the news..whatever your heart desires with this beauty from Kohler. Synced to your phone or other devices with Bluetooth technology, you can turn your shower experience into a concert without having to rebuild the shower. Robots are starting to do it all. Now they even do windows! No one likes cleaning their windows. It is a chore that is put off as long as possible. Now, you can use this little fella and do more productive and fulfilling tasks instead like setting the Roomba to sweep and the lawn robot to mow. Have an entire house of servants without going to the expense of hiring any! Everyone was flabbergasted and blown away when the touchless faucets first starting appearing in restaurants and grocery stores. Many immediately demanded them for their homes. Unfortunately, they were priced out of the range of most home owners. That is now changed as many manufacturers have released versions that are within the budget of most homeowners. Not only will this faucet bedazzle your house guests, it will save you money on your water bill. 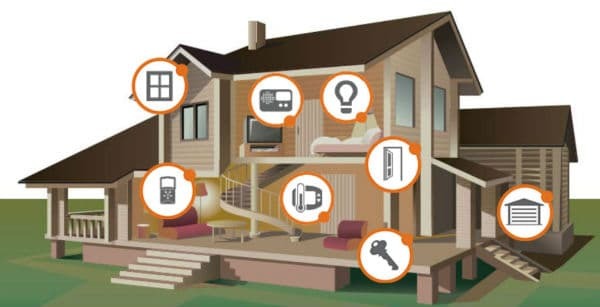 Picture not only being able to turn on and off lights and household gadgets from your smart phone but being able to monitor each appliance and light for energy usage to see exactly what appliance is eating most of your bill? Belkin has created a low-cost plug-in adapter that will allow you to turn on and off devices, monitor usage and even set timer schedules all from your phone or tablet. Considering that this technology in many cases can cost thousands of dollars in more complex remodeling jobs and outlets, this WeMo is a bargain for sure! We do not all have the money to live the 23rd Century life right now. Star Trek is just science fiction for many. However, there are a few gadgets out there that will allow you to affordably sit in the Captain’s Chair.